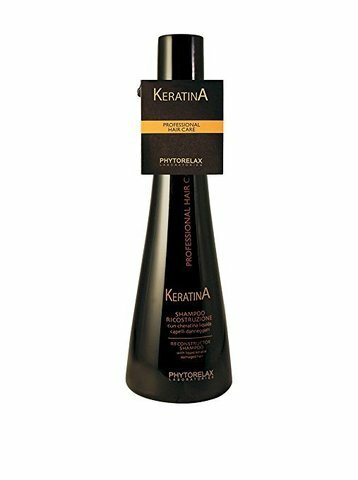 PHYTORELAX KERATIN RECONSTRUCTION SHAMPOO – HAIRDEPOT - Hair & Scalp Care Products, Prevent Hair Loss, Shampoo, Conditioner, Treatment, Styling, Appliances and more! 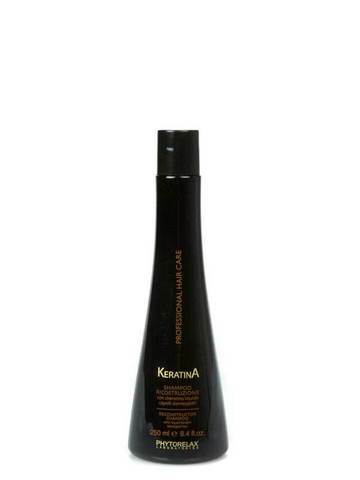 Specially formulated for damaged, porous and thinning hair which needs to improve the quality of its fiber. Contains liquid keratin and sericin for easier drying and smoothing, leaving the hair with improved gloss and color. Specially indicated for medium-length/long hair. Provides an immediate sensation of wellness and super-softness. 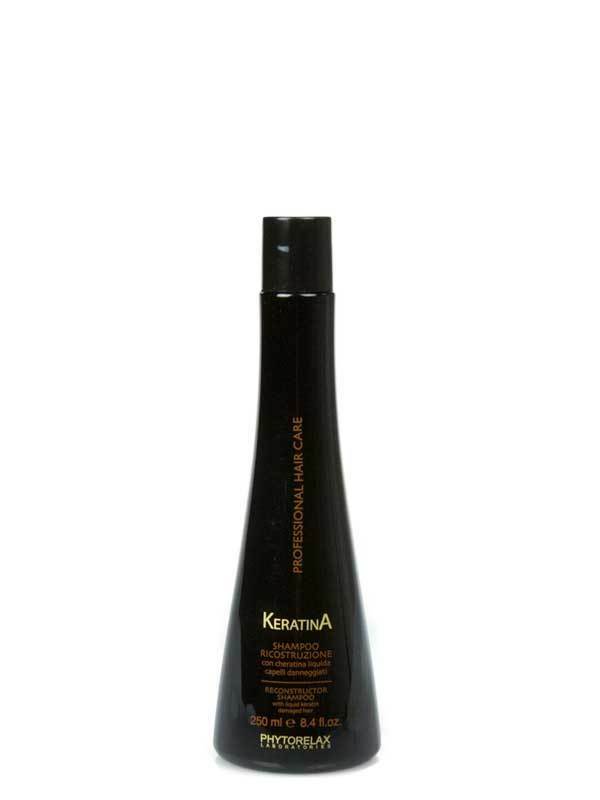 Apply a small quantity to hair, rubbing to create a smooth lather. Rinse with plenty of water.